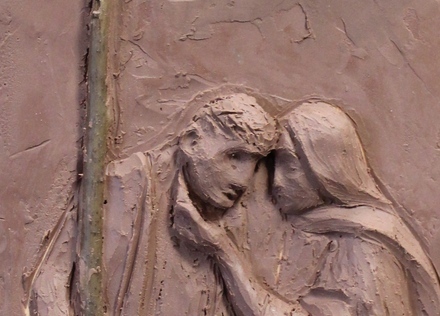 In 2016, Most Blessed Sacrament Catholic School commissioned a set of Stations of the Cross to be created and cast in bronze for permanent placement on their school grounds. Each bronze station hangs on a wooden cross. The project was envisioned by David Planche, Development Director, in response to a request by a former student who sought guidance for his Eagle Scout badge.